Sometimes it’s a matter of changing the scale to really see something for the art it is. 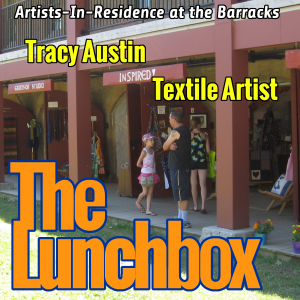 My guest today is Tracy Austin, who creates miniature clothing as sculptural art. We discuss the meaning behind some of her work, and the interpretation of this year’s challenge theme “Water” as it relates to a celebration of Fredericton. To view some of Tracy’s miniature clothing art, take a look at her Instagram at tracy_austin_atelier, and to see her doll-related clothing on Tumblr at Steampetal.